The Cook County States Attorney, Kim Foxx, now claims that the Jussie Smollett file was “sealed” inadvertently. Or deleted from the court files. Or something. 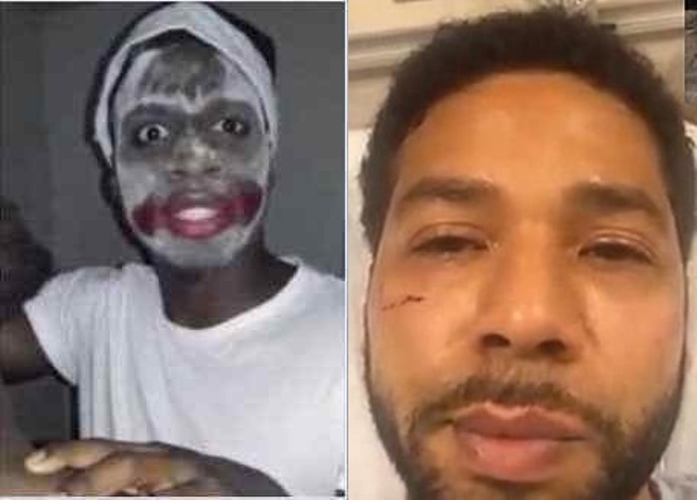 And one of Smollett’s attorneys claimed he was attacked by men in “whiteface.” Sure. Whiteface. New York Post. She kept her fingers in the prosecution from the beginning. The FBI is investigating the Smollett case, so if she is found to have been improperly involved, she could face up to 20 years in prison. But she also says the case was “sealed” inadvertently. Wait. Sealed or erased? Which is it? The Chicago police were so unhappy with the outcome of the case that they began releasing their files prior to the “sealing” of them. Two sections of their files were downloaded before they were cut off by the court. Those files clearly say that there was no video footage of Smollett’s so-called attack. There WAS video footage of the two Nigerians with very dark skin purchasing the ski masks and rope they told police Smollett asked them to buy- photos of that were released when he was arrested. All 16 charges against Smollett were dismissed in exchange for 16 hours of community service with Rev Jesse Jackson’s organization and the forfeiture of $10,000 bond. Meanwhile, the Cook County prosecutor’s office was searching for any cases ANYWHERE that might be similar to Smollett’s case. You know, in case they have to justify themselves.